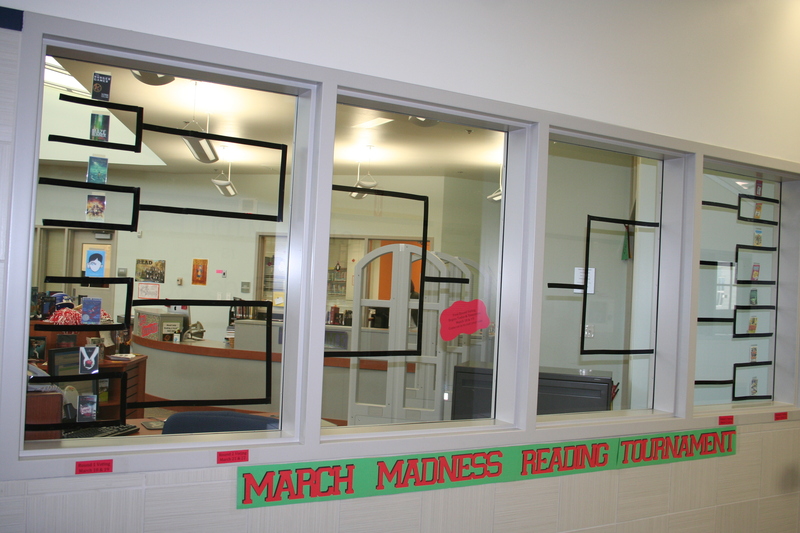 In honor of the single-elimination college basketball tournament performed each spring, the library got its game on for a little reading competition. 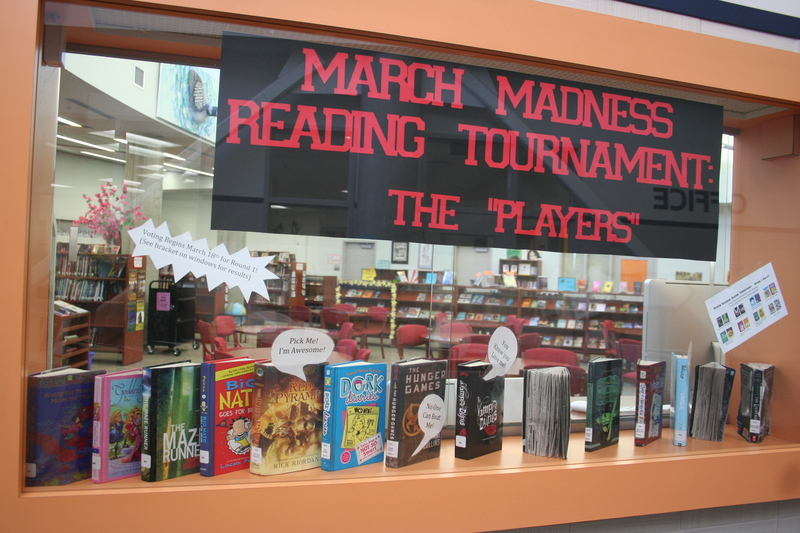 The “Players” were displayed in our front glass display case (with a few “speech bubbles” rooting for themselves). 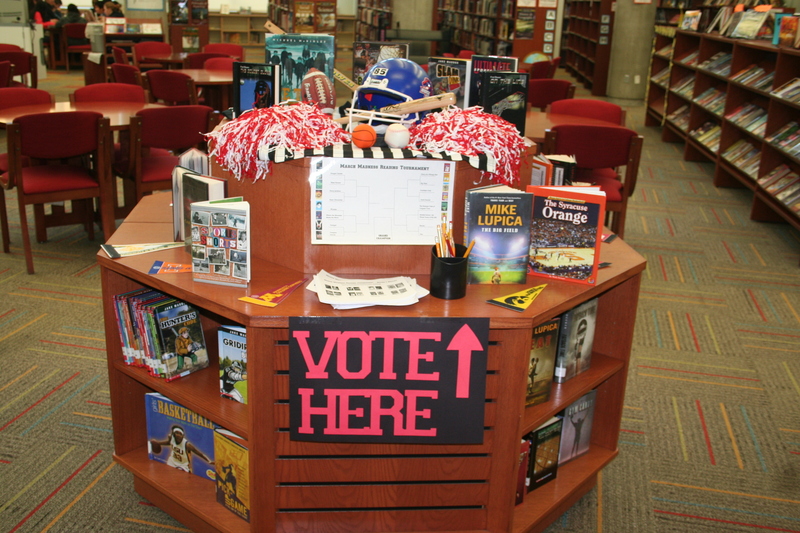 Inside the library, we featured fiction and non-fiction sport books and ballots for voting. 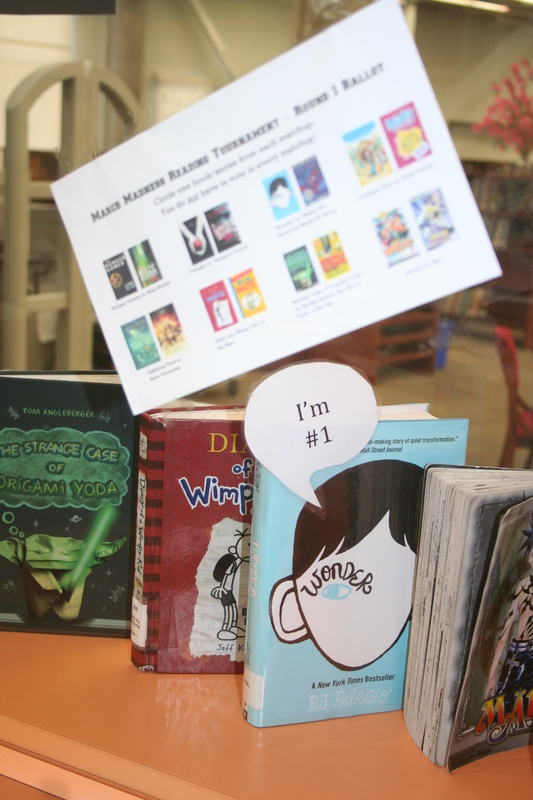 Round 1 ends today, so we are busy tallying votes and getting ready for Round 2 tomorrow! 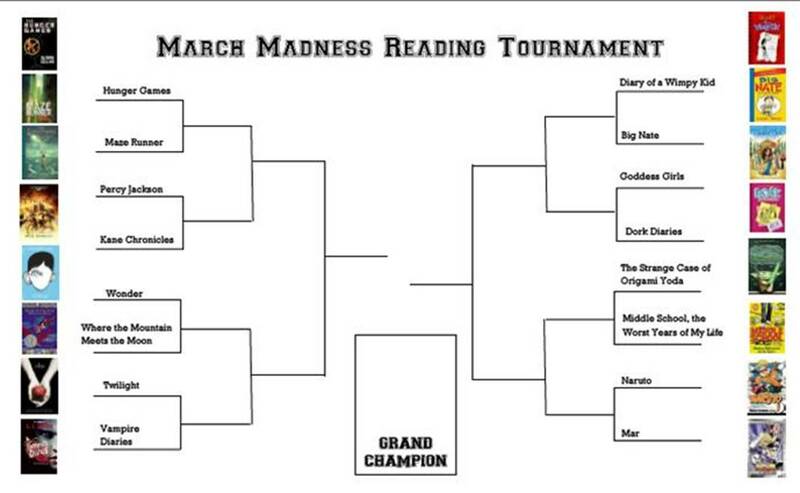 So far it looks our final bracket will be Hunger Games vs. Diary of a Wimpy Kid. 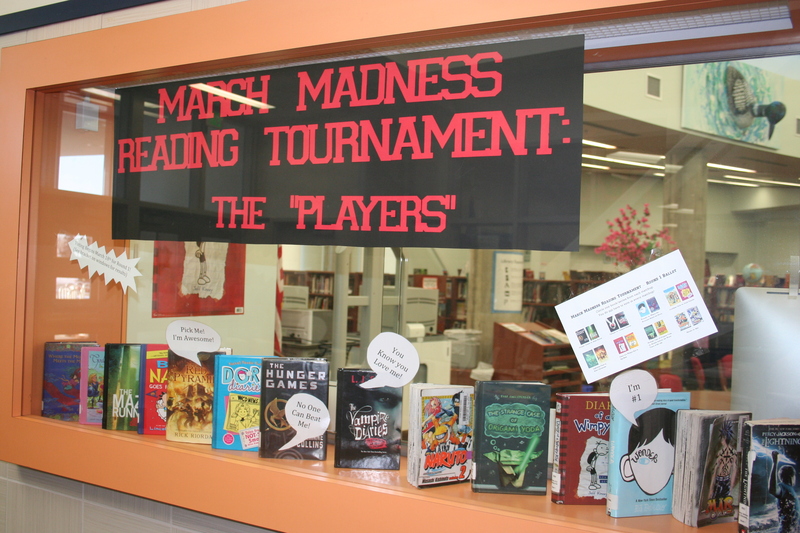 Which book do you think will be our champion? Hi. Great ideas! 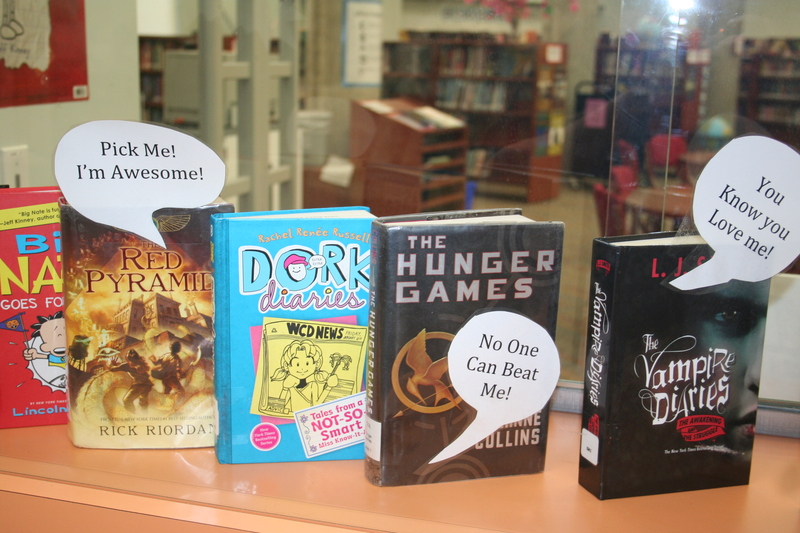 Do you know where to find that cool hexagon bookshelf/display? Thanks!